What the City reads is the Telegraph, not the FT! A shocking fact, from the revolving door here at thecorner.eu via Spain’s business paper Expansión, and a worth-noting point for readers tired of stereotypes: former Financial Times correspondent in Madrid Tom Burns has news for the pink’un-obsessed continental Europeans. What’s the dead-tree media brand of preference in the City of London? Not that one. Burns says City types love the finance pages of The Daily Telegraph, instead. “[In Europe] those in charge of the public finances, the chairs at stock market listed companies and communication assistants of them all believe that everyone in the City of London reads the Financial Times, only […] It isn’t true. 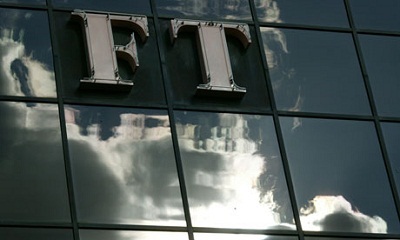 Everyone buys the FT, but they do so as a second newspaper of the day. Burns mentions a piece by Ambrose Evans-Pritchard that we picked up as well, and although the former FT staffer sees no evil in the choice of el Cid to illustrate the blog post (a medieval warrior who allegedly won a battle in spite of being …already dead? ), his connection with the portrait and how the City might translate Rajoy’s challenge to Brussels is more positive than many in Berlin would concede. “Rajoy’s decision of lifting the deficit target for 2012 from 4.4pc to 5.8pc is impeachable because to do otherwise, to comply with a manic fiscal tightening, is intellectually indefensible in a country whose GDP is contracting, unemployment rate is staggering and has no chance of depreciating its currency. 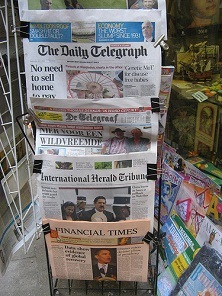 Be the first to comment on "What the City of London reads is the Telegraph, not the FT!"